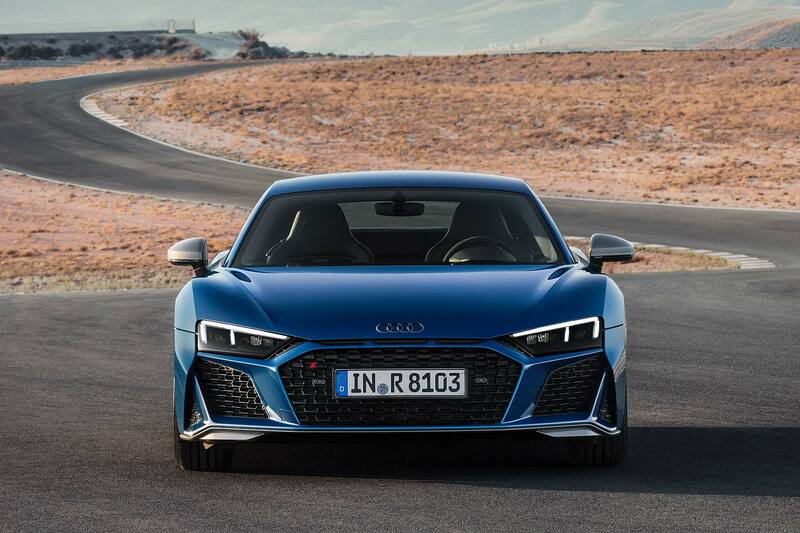 Audi has revealed a facelifted R8 supercar ahead of sales beginning in early 2019. It has sharper looks, crisper handling – and now the power to equal its arch-rival, the mighty McLaren 570S. The 5.2-litre V10’s power boost to 570hp sees it gain a significant 30hp. Audi says that’s thanks to learning from the “almost identical” engine in its race-going R8 LMS GT3 and R8 LMS GT4. And there’s more: a new titanium valvetrain for the enhanced Performance version (formerly called Plus) takes the power of that up to 620hp, a 10hp gain. It does 0-62mph in 3.1 seconds; the regular car still does it in 3.4 seconds. Both cars’ exhausts are cleaned up by a gasoline particulate filter. 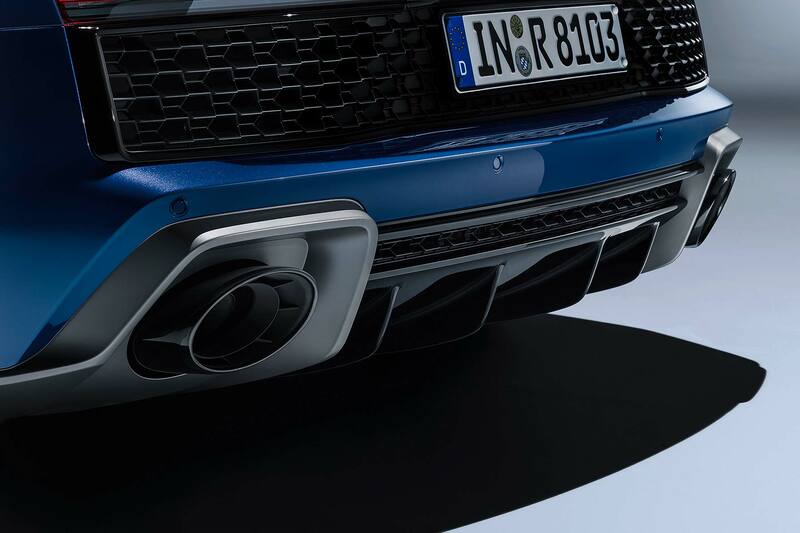 The clean-breathing supercar is here; a switch from rectangular to oval tailpipes is a visual indicator of the filtered R8. Audi says it’s also had to upgrade the pump for the dry sump engine’s oil system. 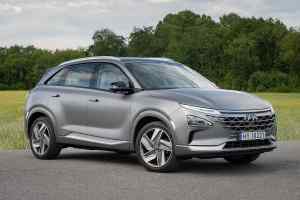 That’s because it’s now capable of cornering at 1.5 G. Handling is also more stable and precise, reckon the engineers, and the steering delivers a better, more pure response. New ‘dry’, ‘wet’ and ‘snow’ modes are added to the Audi drive select system, while tweaks to the stability control system (ESC) mean the range-topper brakes from 62mph 1.5 metres earlier – and from 124mph five metres earlier. 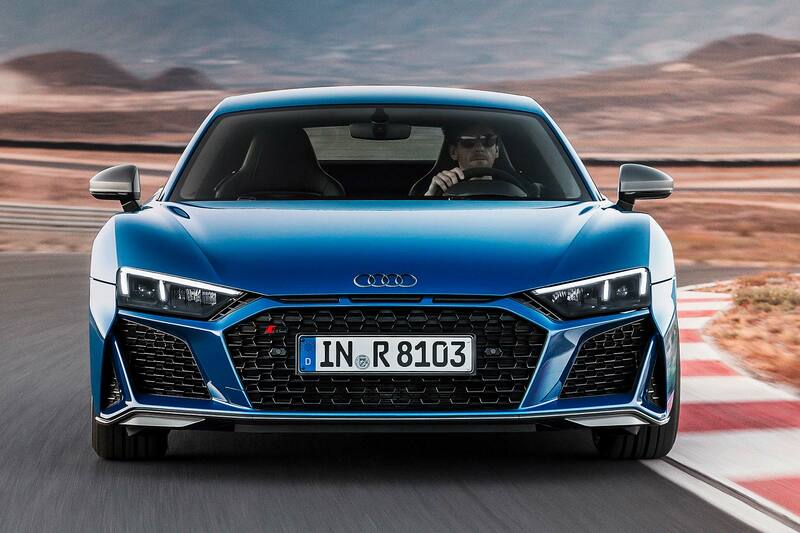 A wider, flatter ‘Singleframe’ grille marks out the revised R8 range. 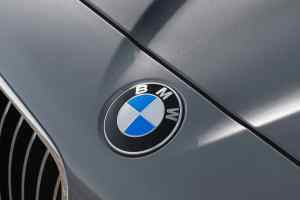 The shiny aluminium honeycomb of the old car is gone, as are the vertical vanes in the outer air inlets: overall, the intakes are bigger and the features around them sharper and crisper. Audi’s added three slits at the top of the grille, to reference the Ur-quattro, and a wider front splitter at the bottom. 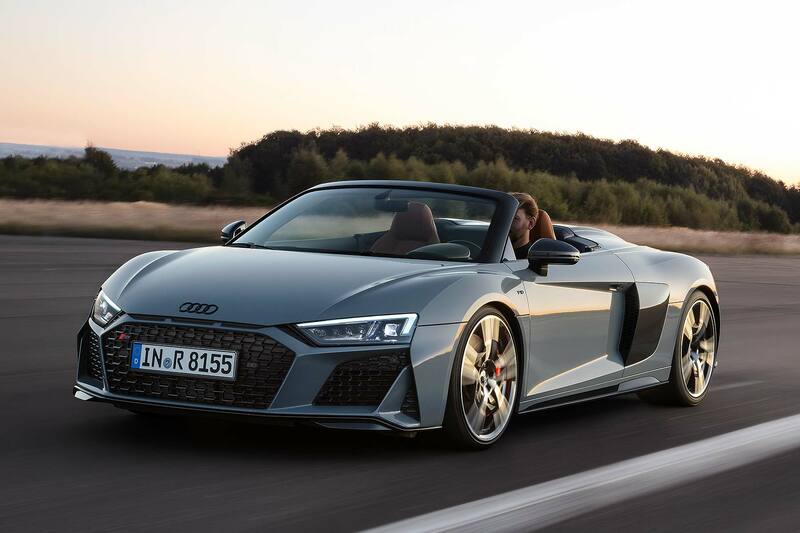 Two new colours, Kemora Gray (seen above on the R8 Spyder) and Ascari Blue, are added, and three different exterior styling packs are offered. The Audi badges and rings can be painted gloss black too, completing the new car’s moodier appearance. 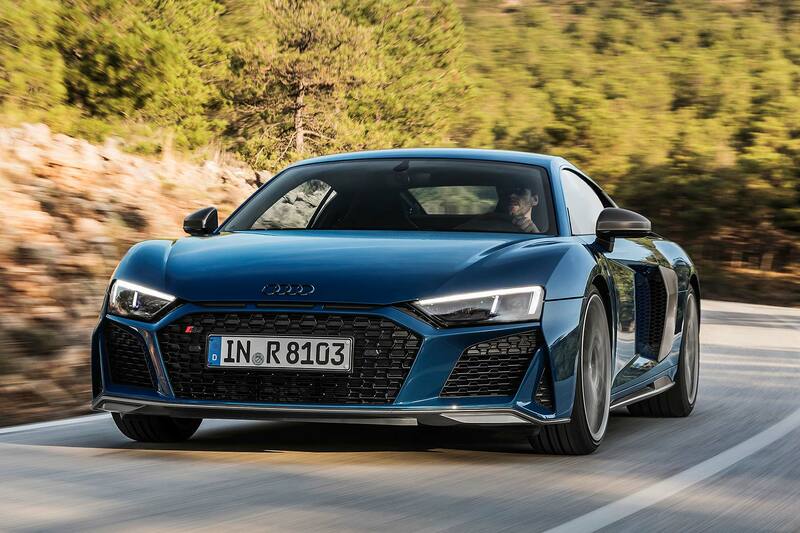 Audi Sport GmbH technical MD Oliver Hoffmann succinctly sums up the new R8: “It’s now even more powerful and faster.” But he also stresses the motorsport aspect and throws up a fact that supercar buffs might like to quote. 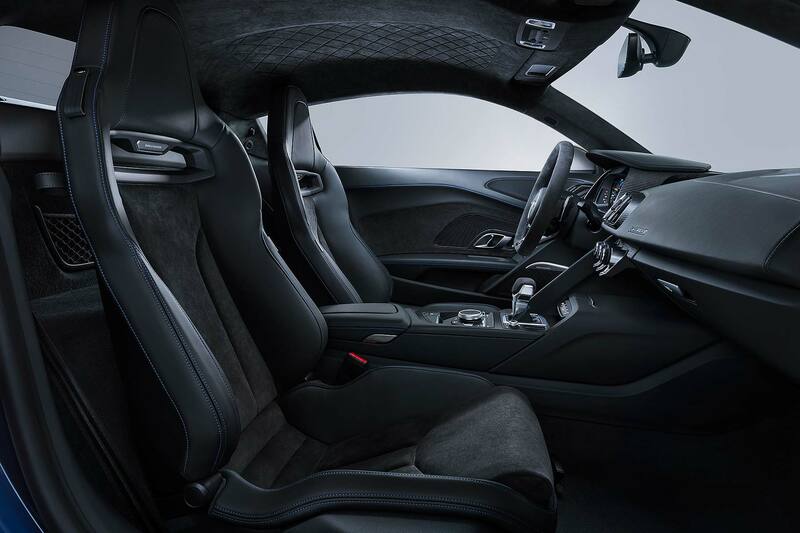 Prices for the revised road-going racer Audi R8 will be revealed later, ahead of order opening in early 2019. Now over to you, McLaren: time to rename the 570S in response?